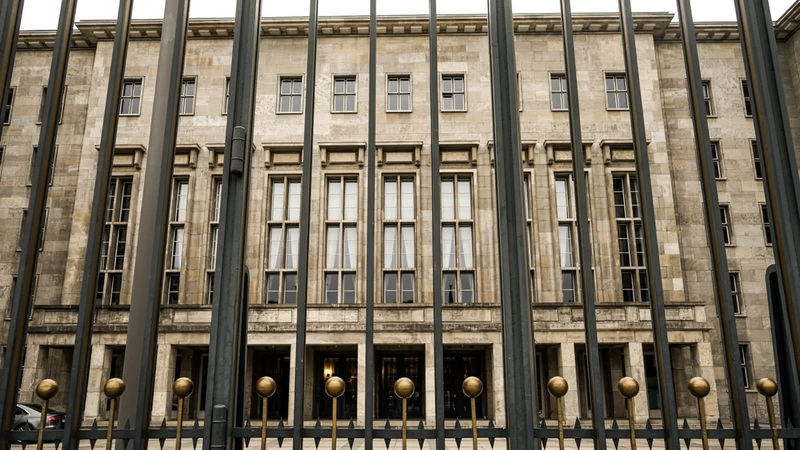 On this 3.5-hour walking tour, an experienced local guide takes you through the heart of Adolf Hitler’s Berlin, and shows you the scars the Nazis’ reign left on the city. 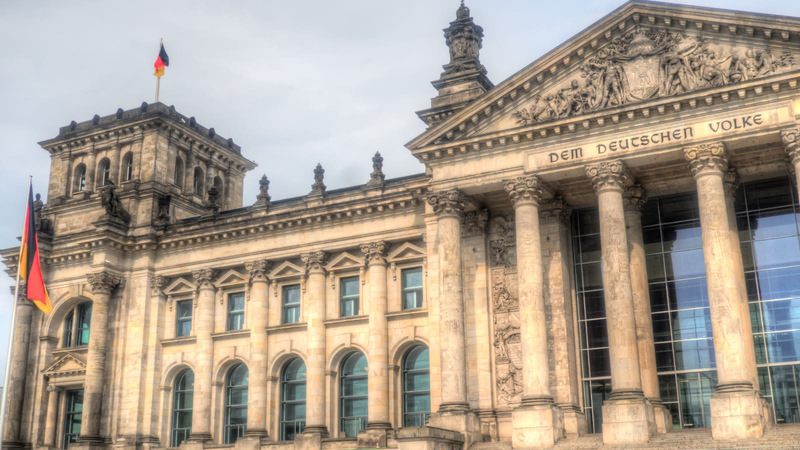 See where leading Nazis like Goebbels, Goering, Himmler and Hitler worked, learn about their victims through the memorials scattered through central Berlin, and visit what used to be Berlin’s Jewish Quarter. Your Berlin Third Reich Tour meets in front of the Starbucks at the Brandenburg Gate (S/U-Bahn Brandenburger Tor) and it usually ends at the women’s protest memorial "Rosenstraße" (between Alexanderplatz and Hackescher Markt). 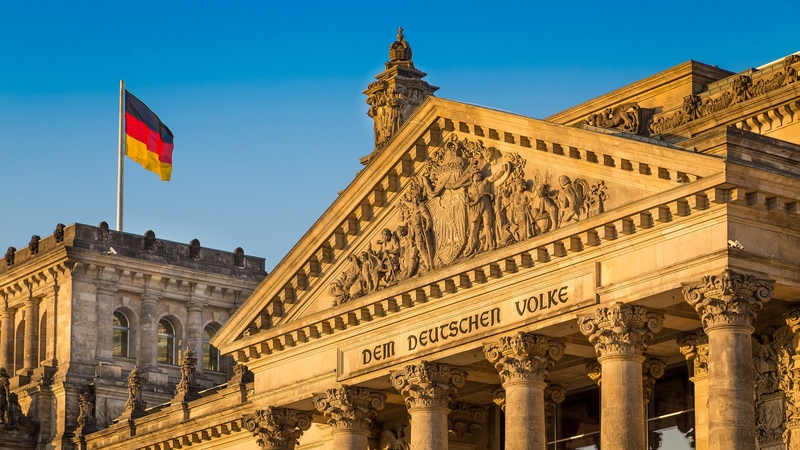 This 3.5-hour tour starts at Berlin’s iconic Brandenburg Gate, through which the Nazis held their victory parade when coming to power in 1933. 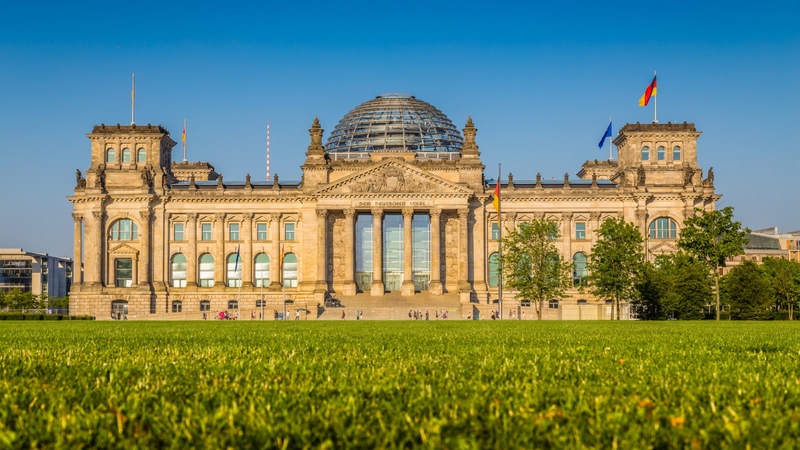 From there, you’ll go to see the Reichstag – once again the modern-day seat of the German Parliament, but (probably) burnt down by the Nazis to gain total power in 1933. 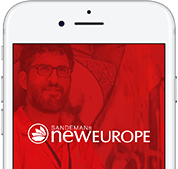 Your expert local guide will then lead you through Berlin’s memorials to tell you about more about some of the Nazis’ victims – Jewish, political, homosexual, Sinti Roma and Soviet. After that, you’ll walk through the Nazi’s former government district, seeing where Hitler’s Chancellory and Himmler’s SS Headquarters once stood, and where Goebbel’s Propaganda Ministry and Goering’s Luftwaffe Headquarters still do. To finish the tour, you’ll visit Berlin’s former Jewish Quarter, and learn more about the Nazi’s despicable treatment of the Jewish people. 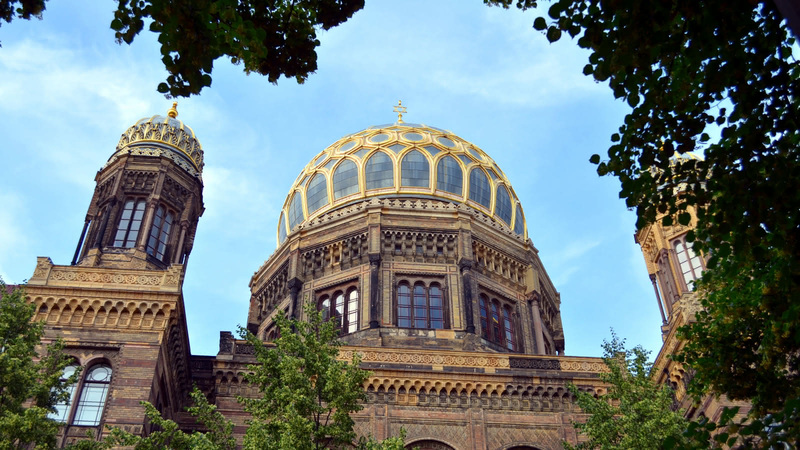 Stroll past the Old Synagogue, visit the former Jewish cemetery desecrated by the Nazis, learn about the remarkable women's protest, and and hear how the Nazis declared Berlin to be “Jew-free” in 1943. 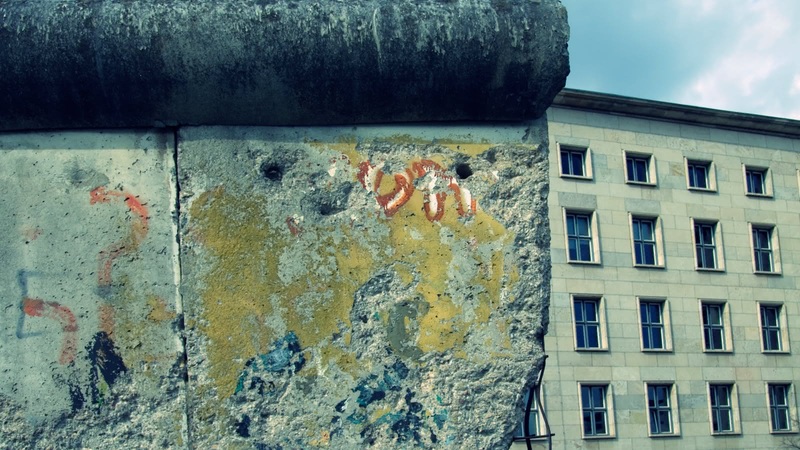 Visit what was the Berlin Jewish quarter, seeing the Old Synagogue, and the street once called Tolerance Street, but later nicknamed Death Street. We had an amazing time on our Third Reich Tour with Sam. He was extremely intelligent and personable. He is very open-minded and challenged the group to think from their own opinions. If he was a college professor, I would have attended every class. He went out of his way to recommend restaurants and points of interest both in Berlin and other cites. Highly recommend!! This is the best way to get an insight into the mindset of the Third Reich. Great, knowledgeable guide. You really absorb the history better when you are actually where it happened. Great value for money. As well as a Sandemans free tour, we also booked the Third Reich tour. Our tour guide was Steve and his knowledge on the subject was outstanding. He showed us all the key sights and shared his detailed knowledge on each area, event or person involved. If this is a subject you are interested it then this tour is a must. I joined the Third Reich Walking Tour with Lizzie as our guide. Lizzie provided a lot of information, which made the tour informative and educational. Anyone who’s fascinated with war history would definitely appreciate this tour. I took the half day Berlin Third Reich tour with Dani and it was amazing. He starts by explaining the events which led to Hitler coming to power, which is great context for the rest of the tour. He was better and more engaging than many professors I have had. Part of me was dreading 3.5 hours in the cold, but because of Dani, it flew by. Today I had the pleasure to participate in the Third Reich Tour around Berlin - definitely a 'must see & do" experience in the city. Our guide was the young historian Daniel Punzón, a guy with a perfect English and sharp in local history. Loved the explanations, the enthusiasm, and the role tour. Thanks a lot, Daniel! Strongly recommended!! !